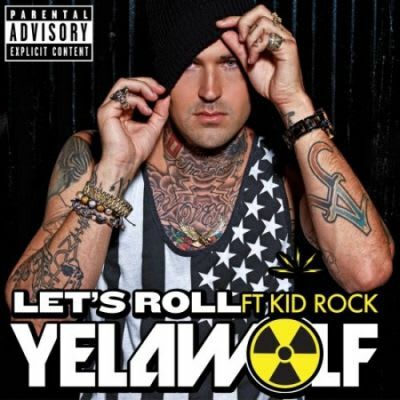 Yelawolf: “When they played [the beat] in the studio, I said, ‘The only way I’m gonna do this is if we can get Kid Rock on it.’ Within ten minutes of listening to the record—even before the lyrics were recorded—the goal was [to get Kid Rock]. I looked up to Kid Rock forever and was fortunate enough to have him on my project. “People would always ask me how they could place my music and I always said Kid Rock, Outkast, and Beastie Boys. I put him in the world of my inspirations. Having him on the project was an honor. He’s the O.G. “There’s nothing new under the sun about my concepts. I have a different spin and perspective, but all of what Kid Rock has done, I’m doing. I just got my own perspective, style, and cadence. My flow is entirely different, but my approach is in the same world. He’s got a Run-DMC flow, where I take more of a Andre 3000 approach. “I played the record for Marshall and I told him I wanted to get Kid Rock on there. He was like, ‘Oh my God! That would be crazy!’ They made their calls. A month or so later me, Kawan Prather, Paul Rosenberg, and Marshall drove out to Kid Rock’s house and we met with him. “Marshall introduced me to Bob [Kid Rock] and we hung out for the night. I played him some of my music. I played ‘Pop The Trunk,’ ‘Daddy’s Lambo,’ ‘Billy Crystal Meth’ and let him get familiar with my sound. “We cracked some Jim Bean, drank some Red Stags, and played some basketball. Then we went to his warehouse and checked out all his whips and collectors cars. We just hung out as homies. “When we played him the record, he was really into it, like, ‘Of course I’ll do it.’ I didn’t expect him to say that. By the second time the hook was playing, he was singing along. He got right into it like, ‘I’ll do it. Let’s ROLL!’ He hopped right in there.